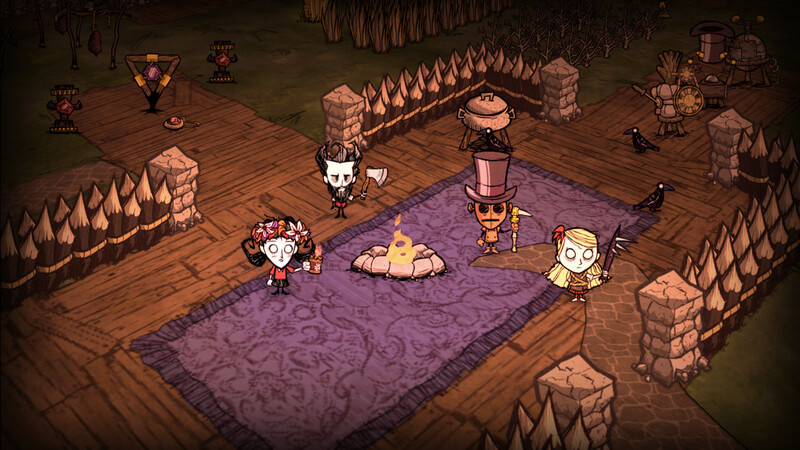 Don’t Starve Together is a new part of the popular game that will plunge you into a dark atmosphere with a lot of complexities and creepy creatures. Here you need to survive, overcoming various kinds of obstacles and battling with powerful rivals. Here, the peculiarity is that you can play not completely alone, but by inviting your friends into the game, in which companies it will be easier to find solutions. You can create alliances, as well as deal with the location of various traps in the world. 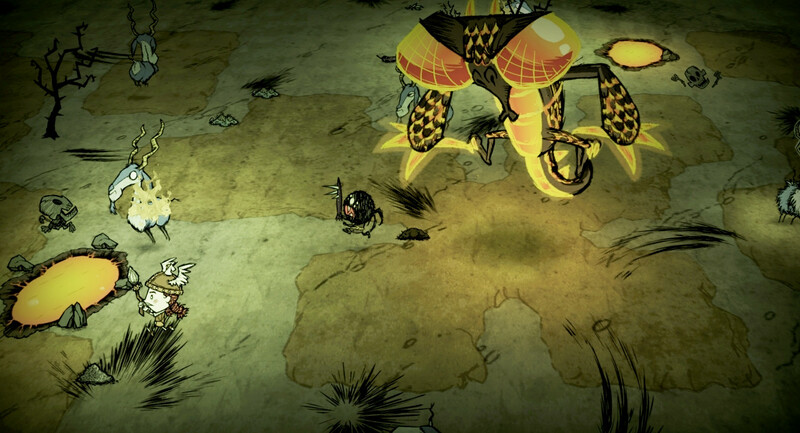 Unusual graphics and cool gameplay — all this embodies the Do not Starve Together. Survive, explore the vast and complete madness of the world, and also go on an exciting journey, taking the team comrades. Also, you must be careful, because there are enemies everywhere who also want to destroy you. Stock up with weapons and put obstacles in order to emerge victorious from this brutal battle. Having decided with the character, the player starts the game and begins to survive. The immediate goal of the game is to stay alive on this planet for as long as possible. The character has three main characteristics: health, satiety and reason. Health is the most important component and a gamer must carefully monitor it, otherwise the character will die. The level of health falls when the hero with someone fights, overheats or freezes. The level of satiety is affected by the saturation of the character, which replenishes with the use of food. Reducing satiety points does not lead to an instantaneous lethal outcome, but it affects the level of health and gradually lowers it. Reason for communication with health is not, but if it is low, then there are monsters capable of inflicting real damage to the hero. The level of reason is reduced in the dark, when the hero is frightened or uses stale and raw food for food. You can raise it with sleep or flowers. Do not Starve is a project on the verge of science and fiction, because it combines several concepts about this world. But the developers wanted to surprise the players, not even this, but with the fact that for survival, it’s really worth trying, because the main character needs food and warmth, and providing them is not so easy. This game has been updated 21-04-2019, 13:30 to the latest version v327766 + Hamlet DLC. Recent Encounters screen has been redone. Updated Spiky Tree Portrait and Spider Nest Portrait. Fixed rare crash caused by haunting a Crock Pot while it is cooking Jellybeans. Fixed bug on clients where broken Fences did not clear pathfinding. 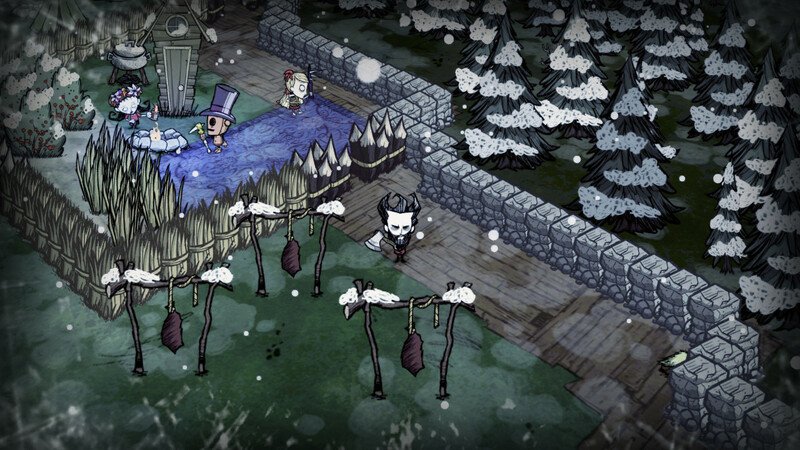 Fixed bug causing Baby Beefalo to sometimes split from their herd when fully grown. Fixed bug preventing herds from merging properly. Fixed bug where Bunnymen and Pig Men inside their houses can still acquire combat targets.